The third quarter is over, and companies will begin reporting soon. Expectations are for a 5% decline in earnings, according to a FactSet survey. If so, the decline will be the second in a row and the first back-to-back decline since 2009. Still, we see corporate balance sheets and cash generation at very robust levels, but the composition of sources and uses of cash are shifting (more on this below). The usual suspects will be identified as sources of weakness. A strong dollar, weak commodity prices, and slower overseas growth will top the list of challenges. The dollar’s strength is a major part of the issue for many of the U.S. multinationals that dominate the S&P 500. Since 2011, the Brazilian real and the Russian ruble is down 60% versus the dollar. The South African rand is down 50% versus the dollar. The Japanese yen is down 40% versus the dollar. The Indian rupee, Canadian dollar, and Mexican peso are down 30% versus the dollar. The Euro is down over 20% versus the dollar. Most of the pressure on these currencies occurred in the last year, as the Fed wound down its quantitative easing program and other central banks accelerated asset purchase programs of their own, notably the Bank of Japan and European Central Bank. While the ultimate effectiveness of these programs remain a source of debate given still weak growth in Japan and Europe and below-target inflation readings, the impact on foreign exchange values seems clear. There are also concerns about growth in developing economies. Here we see growth continuing to slow. Since 1995, emerging economies have been a major source of growth for the globe. Growth in these economies averaged about 5.6% per year in a range of roughly 2-8% per year. By contrast, the developed economies grew near 2% in a range of roughly 0-4%. In many cases, emerging market economy growth is fueled by long-term dynamics including technological adoption, a deepening of capital investment, and faster population growth. In addition, commodity and credit booms have augmented the growth dynamic. Both of these last two factors are now headwinds for emerging market growth. While emerging markets are still growing faster than developed, they are growing below their longer-run trend while developed economies are growing slightly faster than trend, based on Organisation for Economic Co-operation and Development (OECD) data from the second quarter (Table 1 below). Other areas of the world are weighing on global growth. Europe continues to muddle along at a 1-2% growth rate, and China is decelerating through 7% growth. Europe continues to struggle with the overhang of its debt crisis, geopolitical conflict (Russia / Ukraine), and a growing refugee crisis. China is in the midst of a rebalancing of its economy to rely more on internal sources of growth and dealing with a slowdown in credit growth after a period of rapid growth pre- and post- the 2008-2009 global financial crisis. Despite these challenges and some recent weakness in reported earnings, there are several important positives to note as we move into the earnings season. 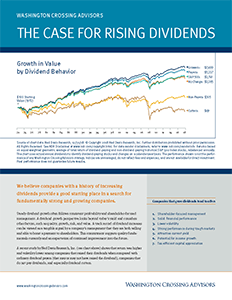 Beyond the headline Earnings Per Share (EPS) numbers, we see that S&P 500 cash balances ($1.43 trillion) are at a record, and over the last 12 months, dividends ($400 billion), buybacks ($555 billion), and research and development expenditures ($255 billion) are all at record levels. In addition to internal operating cash flow, companies have also been issuing large amounts of debt, which is increasing the supply of aggregate cash to businesses. It is noteworthy, however, that the sources and uses of cash are changing. Once source of cash is net debt issuance, and it is near an all-time-high. Last quarter, S&P 500 cash flow from net debt issuance hit $118.3 billion — the second highest level of issuance on record. At the same time, cash used in buybacks is near $550 billion, and according to Yardini Research, is now equal to total operating earnings for the S&P 500. Another source of free cash flow lately has been expenditures on fixed capital. 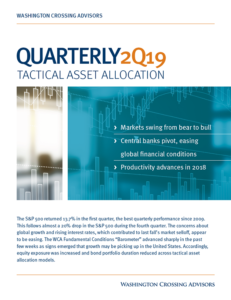 Capital expenditures fell by 5.6% to $153 billion in the second quarter from a year ago, according to FactSet. On the other hand, investment in research and development (R&D) is strong (near record at $255 billion and led by the technology sector). Although profitability levels are at record levels, operating sources of cash are increasingly being augmented by borrowing, and the use of corporate cash is shifting away from investment in fixed capital toward research and development and share buybacks. Companies should be able to beat lowered expectations for the quarter, but growth may prove elusive again this quarter. The forward-looking earnings figure now stands at $127.62. With the S&P 500 at 1970, the forward multiple is 15.4x vs. a 14.1x average multiple over the last 10 years. On a trailing basis, the price-to-earnings multiple is at 17.1x versus a 15.7x trailing 10-year average. Profit margins are more robust, however, than the past. The trailing 12-month net income margin for the S&P 500 is 9.7% versus a 10-year average multiple of 8.7%. In short, both multiples and margins are slightly elevated compared to their longer-run historic averages. As the macro economics continues to get sorted out, we see that most of the underlying fundamentals underlying the S&P 500 are at healthy levels, but changes in momentum and composition are worth watching closely this earnings season.